Retro Rider Interview: The first North American to wear the Tour de France yellow jersey - Canada's Alex Stieda. 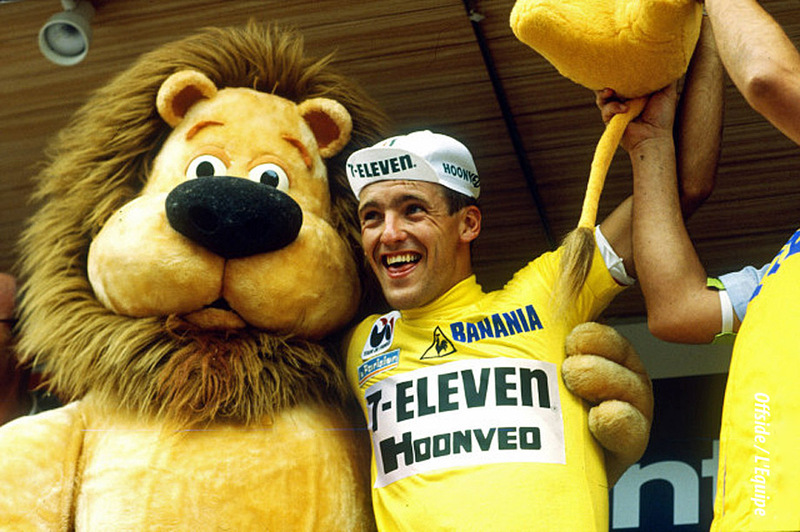 The coveted Maillot Jaune wasn't on his shoulders for long, but that claim is set in the stone of cycling history for ever. Ed Hood hears all about it. We were there! 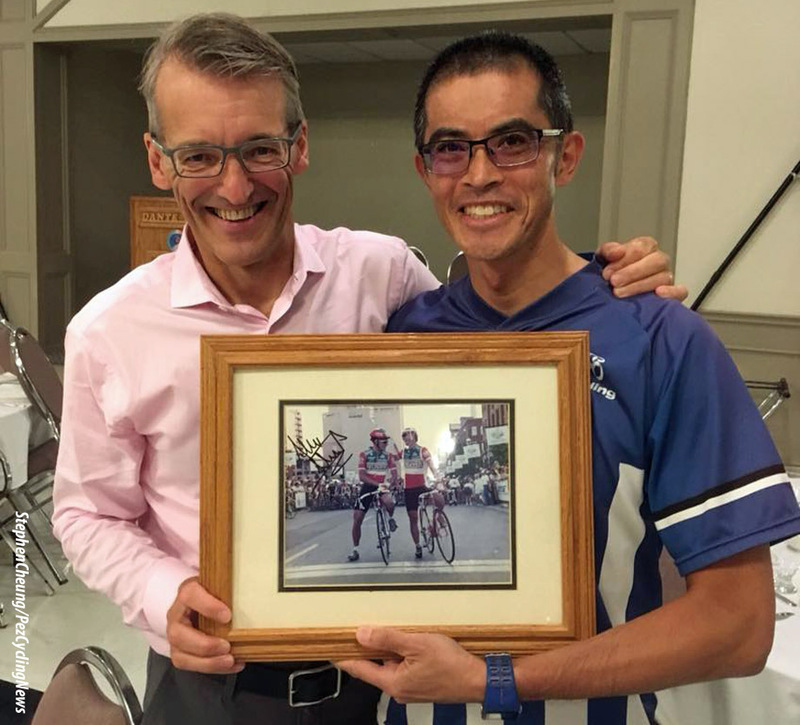 Viktor, Dave and I – when Canada’s Alex Stieda became the first North American to pull on the most famous and coveted jersey in professional cycling. 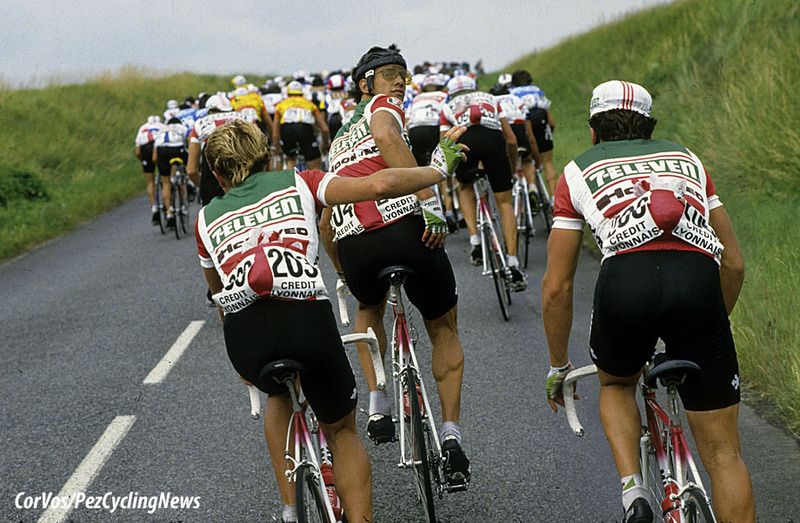 Le Tour 1986, Stage One and Stieda heads off up the road solo, the peloton lets him go – a Canadian? But there’s method in his madness as he scoops up intermediate points and time bonuses along the way; and when the winning breakaway train of five catch him he has enough strength and presence of mind to purchase a ticket. The break just holds off the screaming pack; Stieda grabs fifth behind Belgium’s Pol Verschuere – but those time bonuses have propelled the Canadian pursuiter into cycling history – he’s the maillot jaune. Alex Stieda is the Maillot Jaune! 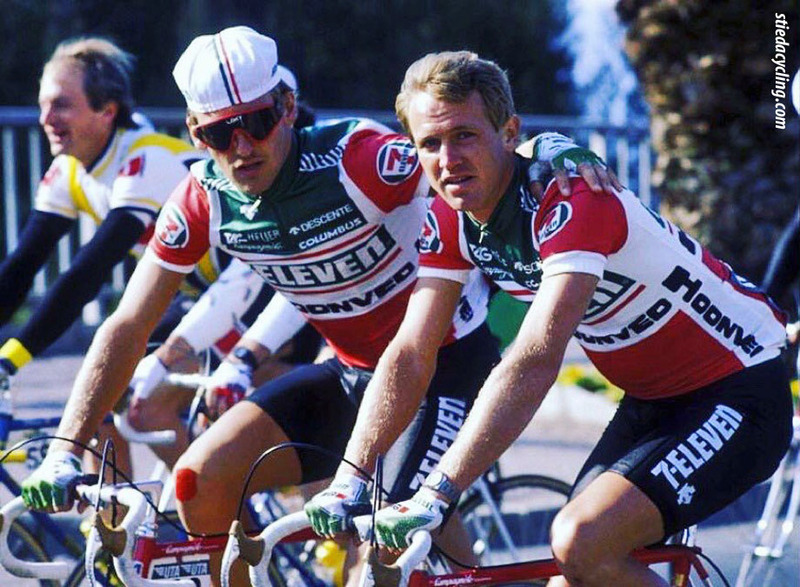 Here’s the ‘but’ – Stage Two is a TTT, the same afternoon as the morning Stage One and Stieda’s 7/11 squad pull off a fair impersonation of Napoleon’s retreat from Moscow, dropping six minutes to the mighty Systeme U équipe of Marie, Fignon, Mottet and Bondue. The North Americans only managed to beat the two Columbian teams who endured an equally dismal day on the outskirts of Paris. PEZ: Tell us about how you got into cycling please, Alex. 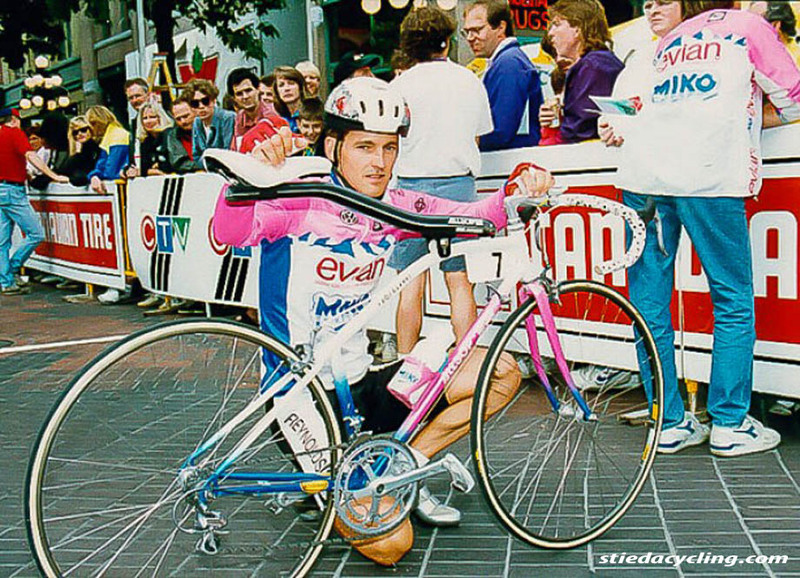 Alex Stieda: It was definitely a minority sport in Canada when I started cycling in 1977; it was a weird combination of circumstances which got me into the sport. I played ice hockey when I was 15/16 and was looking for something to keep me in shape in the summer. So I bought a $20 ten speed – and it turned out that my mom and granddad had ridden with the Chichester Wheelers in England and all this cycling stuff started to come out. Then it transpired that the guy who lived three doors down from us was the head of Cycling British Columbia, Harold Bridges. 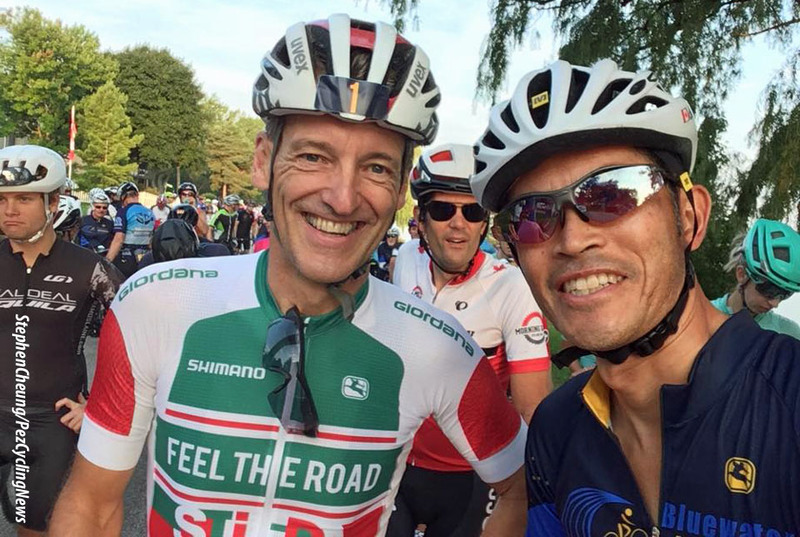 He was an English guy who also organised races; he took me out on rides and showed me the ropes, how to dodge potholes, how to draft another riders – and he took me to my first race. There was a Masters’ 10 mile time trial on a Thursday night and I started riding those – which introduced me to other guys my age who raced. That lead to me riding the Vancouver outdoor velodrome which had been built for the 1958 Empire Games – that’s the Commonwealth Games, now – and that was the best thing I ever did. 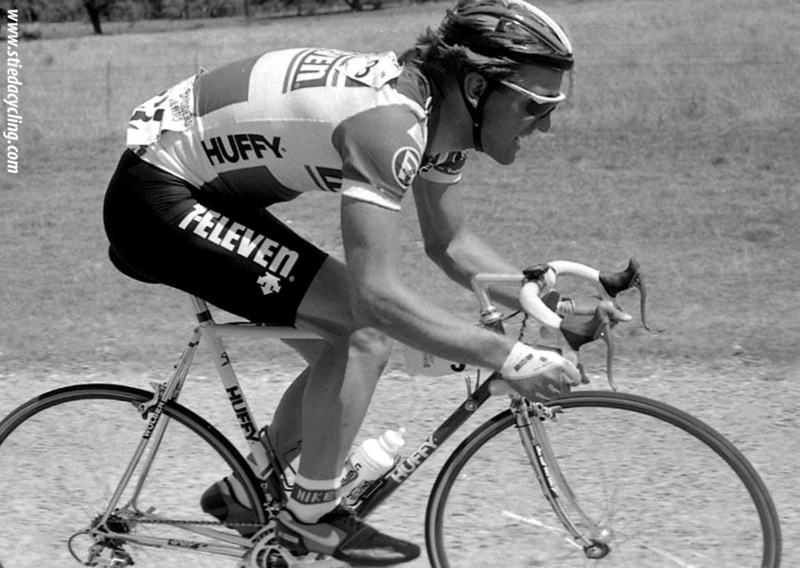 PEZ: You won the Tour de l’Abitibi which is now regarded as the ‘Junior Tour de France’ – was is as big back then? It wasn’t as big back then, you didn’t have the European teams that you do now but there was a US team there and it was a big race – and a big deal for us to come from British Columbia and win it. PEZ: You took bronze in the Commonwealth Games Pursuit in 1982. Yes, I gravitated towards the endurance races on the track, the pursuit in particular appealed – it was a masochistic thing! I was disappointed that I didn’t make the final but it was nice to win the ride for the bronze. But the Games weren’t my first international competition, I rode the Junior Worlds in Buenos Aires in 1979 and was doing well ‘til I met a guy called Greg Lemond in the quarter final; he beat me by one-hundredth of a second and I ended up fifth. I’ll never forget that ride, I was so completely empty I couldn’t undo my toe straps; my coach had to catch me. PEZ: Tell us about the Olympics in ’84. I didn’t go to the opening ceremony because my events were early in the programme and I didn’t want to do all that standing. But I didn’t have good form, maybe I was over trained, I don’t know? But of course, the Americans were all blood doped – which didn’t come out ‘til much later – and they were on those ‘superbikes’ which cost a fortune. I was on a bike a guy built for me in Vancouver which was a nice bike but basic compared to the machines the Americans were on – they were using materials left over from the US Space Programme. I rode the points race, too – it was a good experience but as a cyclist you learn that you can’t win every race and when you do have good form it’s a really special time. PEZ: Then you turned pro with 7/11? I’d ridden amateur since 1982 with 7/11 and my mentor, Ron Hayman who lived in Vancouver too and was the guy we all looked up to, was professional with 7/11. 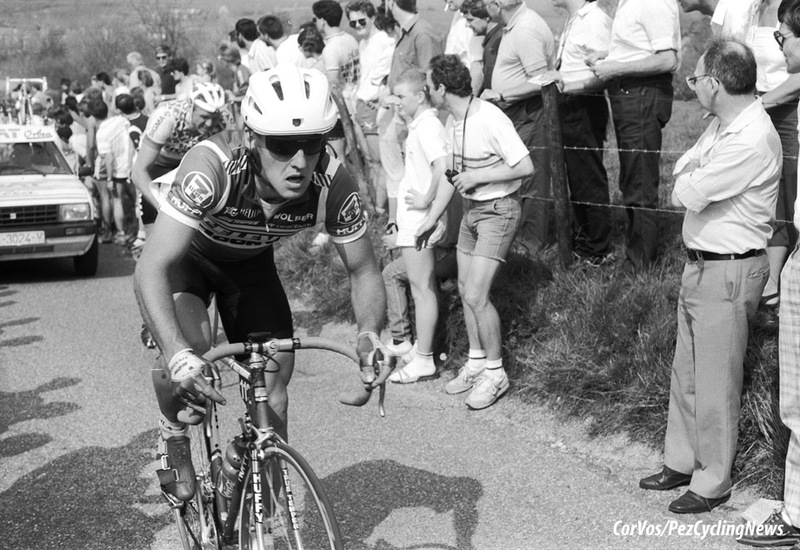 He was there in 1981 with Eric Heiden and the others and he suggested that I ride stagiaire with the team in the fall of that year. One of the reasons for the ride was that I’d gone to Belgium in 1981 on my own and won four kermises. I stayed in one of Staf Boone’s flats in Drongen – he was quite a character. Ron spoke to the team and I raced with them in New York that fall and had a lot of fun – to this day I think that much of the reason I was accepted was that I fitted in with the guys. I was a young, red blooded North American guy who loved to race and that counted for a lot – post Olympics I signed with the pro team. It was all a bit of a blur; it came fast and went fast which was disappointing – I only had it for a few hours so it was tough to enjoy. PEZ: The afternoon TTT was a bit of a nightmare wasn’t it – with Doug Shapiro throwing his bottle at Alex Grewal to slow down and stop splitting the team? The trouble was that none of us had enough knowledge, our DS was Mike Neel who had raced in Italy but really none of us had the necessary experience. In the TTT I was expected to do a turn but I was shattered, I’d been in the break all morning – and there were crosswinds, it was hilly and we crashed. Doug threw his bottle at Alex to get him to move across when we exited some trees and there was a cross wind – we needed to form an echelon but Alex was on the wrong side of the road! PEZ: That jersey must have helped the team’s acceptance in the Euro peloton? 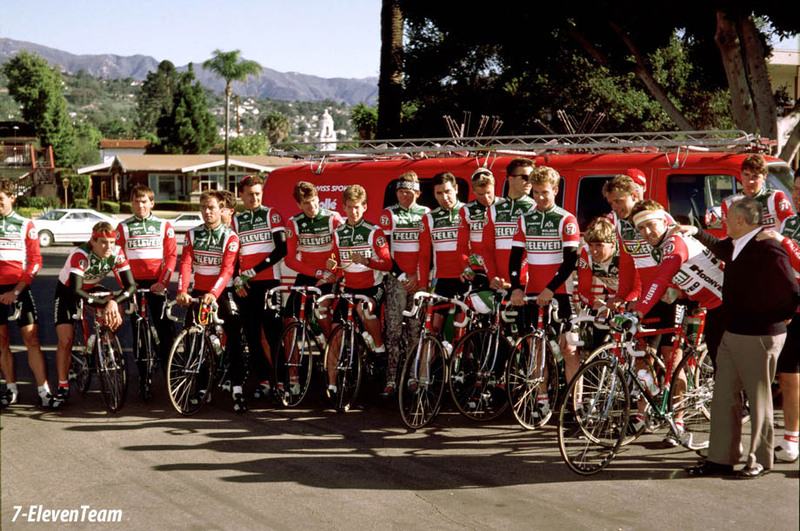 The tide was turning, we’d ridden the Giro the year before and then Davis Phinney won Stage Three of that Tour right after we’d had the jersey – that gained us a lot of legitimacy and respect. You have to earn respect in the pro peloton, don’t you? PEZ: Speaking of tours, you always rode well in the Tour of Texas back in the US. I think the races in the US suited me better, they were shorter and more intense – the Euro races were longer, more drawn out affairs. In Texas there were no big climbs, more short sharp climbs and cross winds – that kind of tactical race suited me better. And I was in a great team, the atmosphere in 7/11 was one of mutual respect and help – we realised that if we helped each other it meant we had a much better chance of winning. There was no UCI points system back then so you could ride like that; now there’s more focus on an individual’s points and it’s always at the back of a rider’s mind that he needs points for himself. PEZ: What do you rate as your best achievement on the bike? Finishing the Tour de France, that was special, especially after having held the jersey. After I’d held the jersey Gerrie Knetemann, who’d ridden the Tour 11 times, took me aside in the peloton and explained to me in almost fatherly way that I had to finish the race – I had to honour the fact that I’d worn the jersey. That meant a lot to me and it stayed with me, so finishing the Tour was very special. PEZ: With your background as a track man and the prestige of the maillot jaune did you ever think about riding the Six Days? I didn’t really pursue it and the opportunity never presented itself – but when I look back, I loved riding the track and if the opportunity had arisen or someone had suggested it I’d have liked to. You quit in ’92 but were still winning. . . It was a combination of things, we had our first child in 1991 and I wasn’t around a lot, it wasn’t fair on my wife. I was 31 years-old and had been racing half my life – and my sponsors, Softride offered me a job in sales. I didn’t want to be one of those guys who keeps hanging on – I’ve no regrets about quitting when I did. PEZ: The ‘Softride’ beam was an ‘interesting’ concept. It rode much like a track bike, when you first rode it you tended to bounce but after a while you pedalling stroke smooths out – I was always one to try new ideas. I liked the concept and it was fun to be part of it but it never gained acceptance and UCI rules about ‘double diamond’ design for frames finally put an end to it. PEZ: Are you still involved in cycle tours? I’m still involved and it’s fun but it’s a tough way to make a living and it’s no longer my main source of income. I’m in IT now and that’s how I make my living with cycling ‘on the side’. I wish I’d concentrated on the races which suited me; I was never a climber, I came from the track and those Belgian kermises suited me. I was a rouleur and suited to Northern European racing, I wish I’d moved there and concentrated on the races which suited me rather than riding all over the place. But I didn’t have the funding and the team didn’t push me in that direction – that was the thing, there was no real sense of direction. 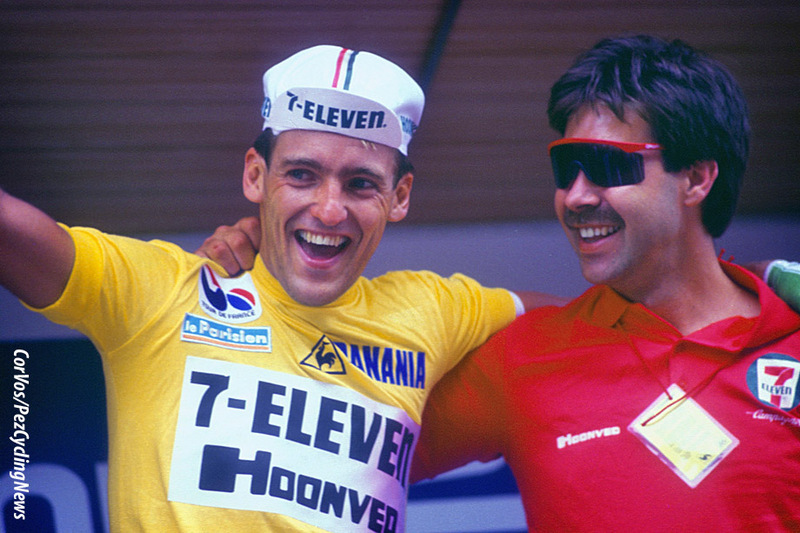 But I’ll never forget wearing the yellow jersey and it’s amazing how many people remember it and speak to me about it; and with the internet all that history is out there for everyone... Yeah, it’s a great memory.